This was my first event with Pretty Southern and it’s going to be hard to beat. 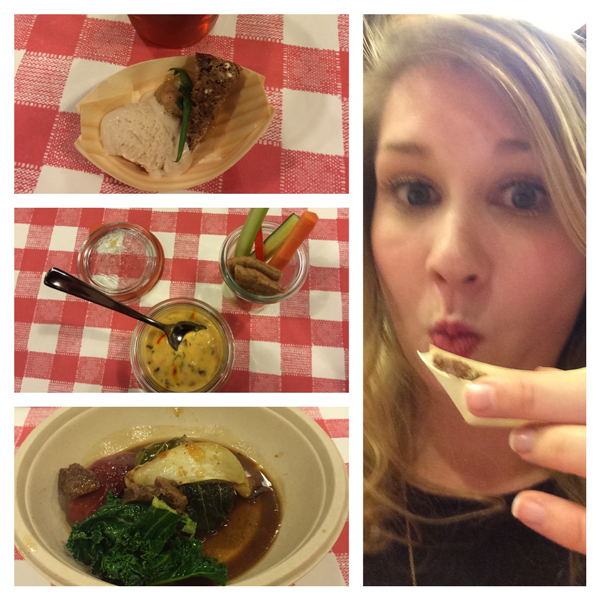 The trifecta of fine food, local craft beer, and delicious dessert was pretty perfect. French-born Chef Christophe Le Metayer has been pursuing his passion for good food and elegant cuisine for nearly thirty years. As the owner and founder of Christophe’s To Go, his goal was to create an option for folks who worked all day then wanted a tasty meal. He decided that if his patrons needed help at home in the kitchen, it should be him. Christophe’s To Go has three convenient locations in Brookhaven, John’s Creek and Sandy Springs, plus provides catering for their bevy of options. Second Self Brewery is less than a year old and already making a name for themselves in the craft brewery scene. Co-founders Jason Santamaria and Chris Doyle Name were inspired to name their brand as a “second life” of going all nights of the week and weekends. During our tasting at Christophe’s, Second Self served four of the five beers they currently had developed with the various courses. Saving the best for last, Helen Cleveland from Piece of Cake was there to give us a taste of the sweet life. Piece of Cake is celebrating their 30th anniversary in business and has several locations in the Atlanta area. In addition to sampling the desserts, I got to participate in a cake decorating contest. Y’all can see my finished product below. 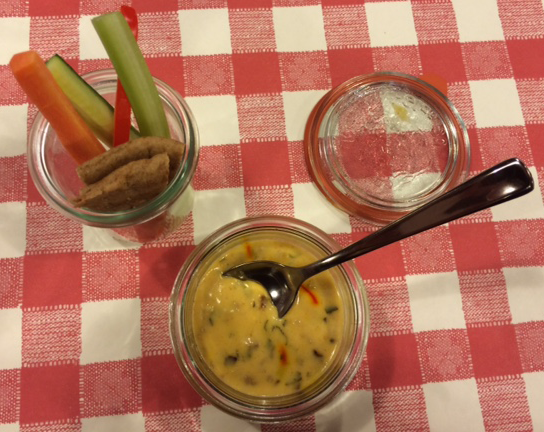 Our first course was Twisted Cheese Dip paired with Red Hop Rye. It was like a sophisticated kid’s cheese and cracker snack! This cheese stew was packed with tasty flavor from chorizo, saffron, chocolate, lime zest, chipotle, cilantro and tortilla crudite. It was good to warm the soul, and I wanted to steal the container to have more later. 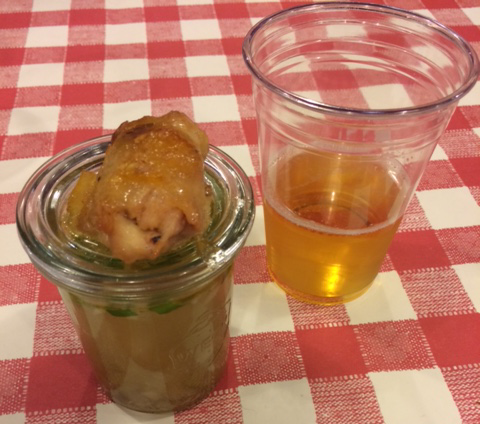 Next up was a Clear Thai Chicken Soup. The chicken stock and coconut water of the soup is a soothing balm to settle the heat from the Thai chili. This was a dish to clear the sinuses in the best way, plus it came with a stuffed chicken wing that glistened with a caramelized glaze. Finishing the dish with the sharp but pleasant bitterness was Second Self’s Thai Wheat which helped to settle the burn and make way for the main course. 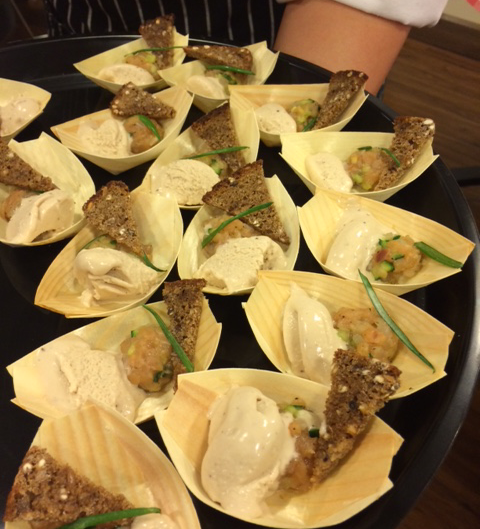 Salmon Amuse Bouche with Red Hop Beer ice cream and rye bread. Served with Second Self’s Saison. This was a creamy, delicious combination paired with “a most straight-forward beer” almost like a Sauvignon Blanc, dry and bubbly with hints of spice. 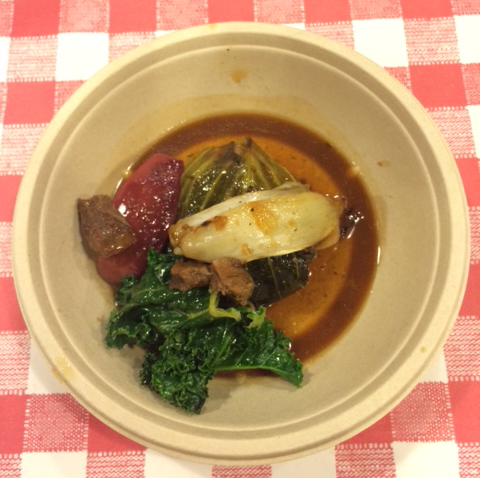 Cabbage wrapped braised pork cheeks with kale, apple and endive. This hearty yet slightly sweet combinations made me to want all my future appple pie fillings to be stewed with pork cheeks. The kale leaf absorbs the flavor of the hue perfectly. 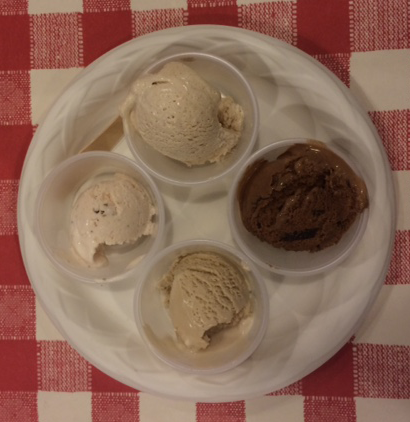 For dessert, we sampled four flavors of ice cream including chocolate fetish, Georgia pecan, sea salt Carmel, and cinnamon spice. Paired with Second Self’s Bleeding Heart beer which was inspired by red velvet cake. To end our amazing meal, Piece of Cake had a cake decorating competition! When Piece of Cake is busy, they can produce up to 8,000 cupcakes a day! During the holidays, they’re baking 24 hours a day. 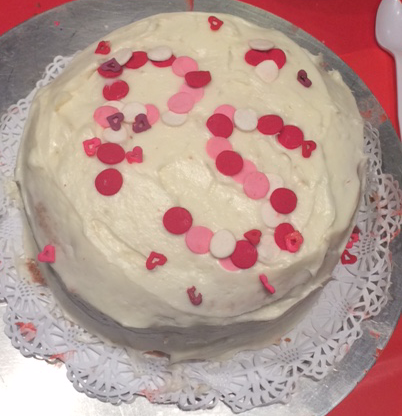 My cake turned out nice for “PS” but I’ll leave it up to the professionals in the future. I had a blast covering this event. Thanks to The Atlanta Food Blogger Society, Christophe’s To Go, Second Self, and Piece of Cake for the terrific tasting! 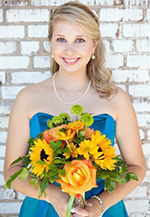 Mandy Morgan is a contributing writer for Pretty Southern.com, a UGA “Double Dawg” (BA- ’10, M.Ed. ’12), higher education administrator, and lover of all things sweet, sassy, and southern. If it’s 75 and sunny, you can spot her running in Piedmont Park or reading on the outdoor porch at Octane Coffee.